The American Association for State and Local History (AASLH) invites nominations for the 2016 Leadership in History Awards. Now in its 69th year, the Awards Program is the most prestigious national recognition for achievement in the preservation and interpretation of local, state, and regional history. AASLH initiated the Awards Program in 1945 to establish and encourage standards of excellence in the collection, preservation, and interpretation of state and local history throughout America. 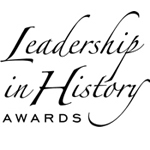 The AASLH Leadership in History Awards Program recognizes exemplary work completed by state or federal historical societies, institutions, or agencies; regional, county, or local historical societies, institutions, or agencies; specialized subject societies in related fields such as oral history, genealogy, folklore, archaeology, business history, railroad history, etc. ; junior historical societies; privately owned museums or foundations; individuals; and organizations outside the field of traditional historical agencies. Awards are given for exhibits, public and educational programming, special projects, publications, multimedia, and individual achievement. Nominees need not be members of AASLH to qualify. See profiles of past winners. Nomination information may be obtained by visiting about.aaslh.org/awards, or by contacting the AASLH office by phone: 615-320-3203 or email: hawkins@aaslh.org. Nominations are due on March 1, 2016. A list of state award representatives who can advise nominees can be found at the AASLH website. Nominations are then reviewed by a national committee in the summer of 2016 with formal presentation of the awards made during the AASLH Annual Meeting, September 14-17, in Detroit, Michigan. The American Association for State and Local History is a not-for-profit professional organization of individuals and institutions working to preserve and promote history. From its headquarters in Nashville, Tennessee, AASLH provides leadership and support for its members who preserve and interpret state and local history in order to make the past more meaningful to all Americans. AASLH publishes books, technical publications, a quarterly magazine, and monthly newsletter. The association also sponsors regional and national training workshops and an annual meeting. For more information about the Leadership in History Awards Program, contact Bethany Hawkins in the AASLH office at 615-320-3203.